It’d been an odd and windy winter and spring back in 2010. When miserable weather days happen, flight instructors offen amuse themselves looking at...the weather. One day, I received this weather chart that someone found on Weather.com. It’s an amazing morass of isobars. 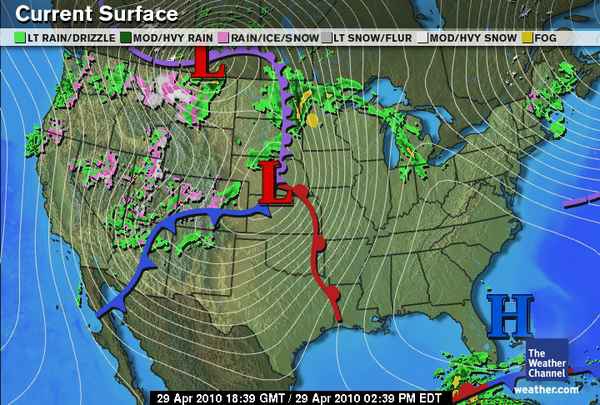 Remember, isobars are lines that connect reporting stations (a fancy word for places that take official weather readings) that have the same barometric pressure. Typically, isobars are drawn at 4 millibar intervals. When the isobars are spaced closely together, there is a strong barometric pressure difference over a small geographic area. This results in strong winds. At about the valid time of the above chart, this was the METAR (hourly observation) and TAF (Terminal Area Forecast) for KTCS. The real name of KTCS: Truth or Consequences, New Mexico. It's an observation taken on the 29th day of the month (it was April 2010) at 6:53 PM zulu time (291853Z). The wind was from 240 degrees at 42 knots gusting to 59 knots (24042G59)! 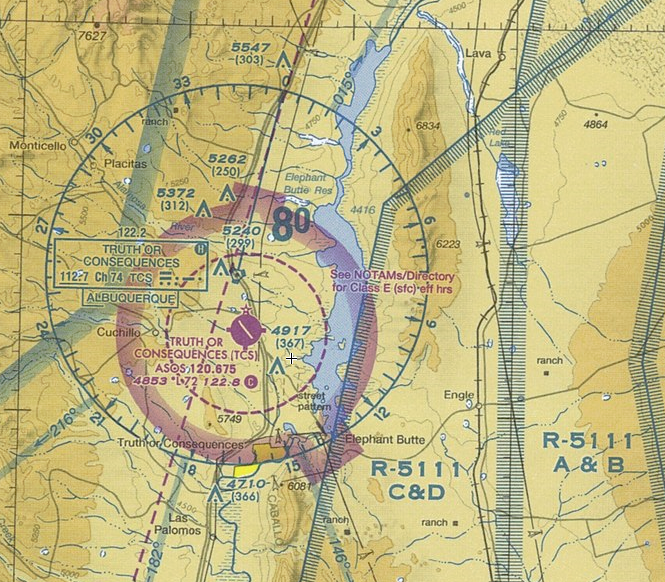 The remarks (RMK) section indicates that the peak wind was from 230 degrees at 59 knots, and that happened at 1849 zulu time (PK WND 23059/1849). Apparently, the forecast wasn't too far off! Here’s a link to AirNav.com where you can see the rest of the sectional chart (shown below) for the area, which you may also find the chart on SkyVector.com.